1953 was a great year for Great Britain in the ISDT, with one of its dream team line ups in the Trophy team who gave us our last win of the premier event award. A movie of the event was recently spotted on Youtube and is now added to our ISDT Tube feature of all known ISDT movie footage. At an early stage of the ISDT 1953 we catch Rider #1 FH Whittle with his Panther 598cc sidecar [HYG 477] going through scrutineering. A nice view of British Trophy team member #237 Jack Stocker riding his 496cc Royal Enfield into Scrutineering #37 Olga Kevelos on the start line with her 150cc CZ. #71 PVK Baldwin with his 348 Matchless CC riding for the Sunbeam MCC comes in for fuel then later on again passing through a woodland swamp. #231 David S Tye of the Silver Vase team with his 497cc BSA [NON 496] The course includes checkpoints in Bratislava, open countryside and woodland with the usual ISDT throng of fans and curious local spectating at this festival of motorcycle action. The video finishes with coverage of the night stages and hopefully this is only part 1 and I can find the second part to add to this one. 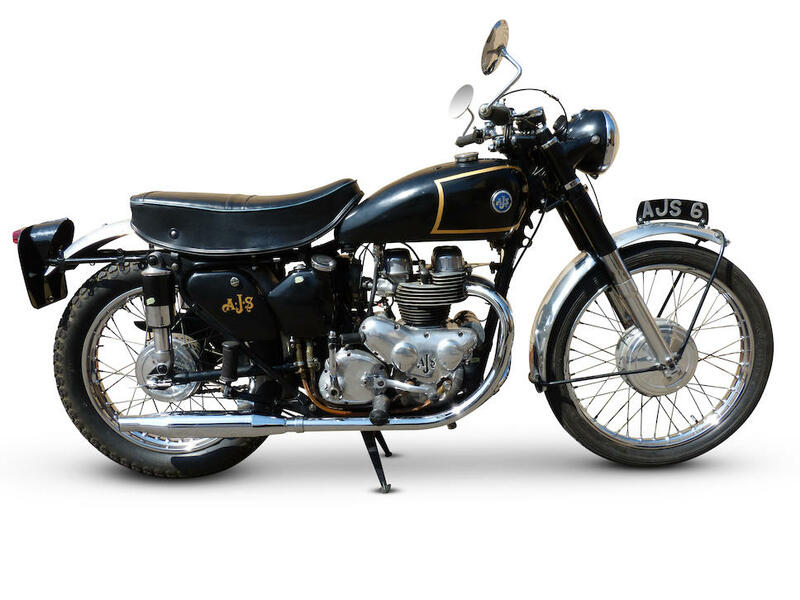 I’ve been lagging with a number of articles needing posting but here I’ve now put up a short article on the ISDT 1953 winning 498cc AJS ridden by Hugh Viney which turned up in auction in 2015 after its long term owner passed away. 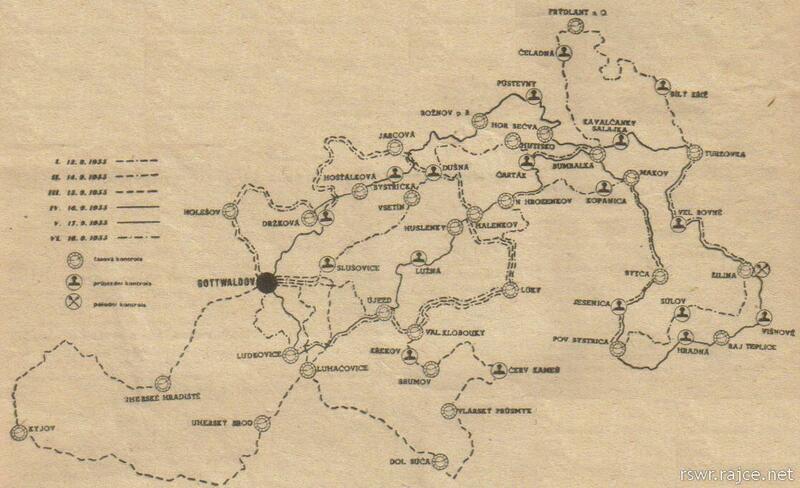 Mapping for the event is limited and we have this map from the official programme. Any further maps that can be provided would be welcome. 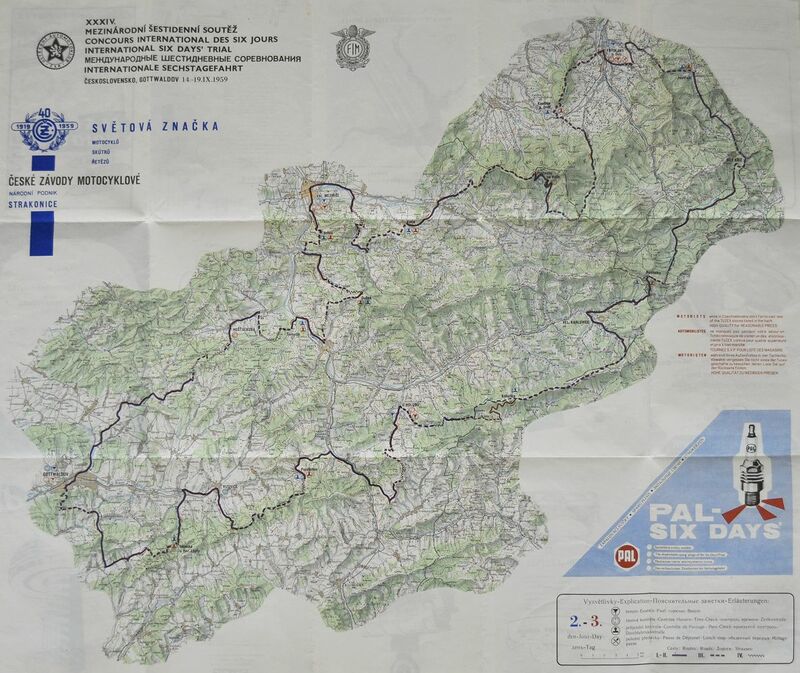 Collecting mapping for the ISDT 1959. So far located an official map for days 2 and 3. The Official Daily Route sheets and the programme maps for each day. Any offers of route information for any ISDT always welcome. Hluk is a town in the Zlin region of south-eastern Morovia in Czechoslovakia. Zlin was the host region for a number of ISDT events. Recently the town has developed a web site to create an archive of its history where it has posted this collection of photos from the ISDT 1953 event taken by a town resident. These images will be largely unknown in the UK and will be the first time many of the scenes will be new to the Speedtracktales regular followers including Geoff Wagger who will not have seen this photo of his dad Reg before. These images were likely to have been taken on the first day. 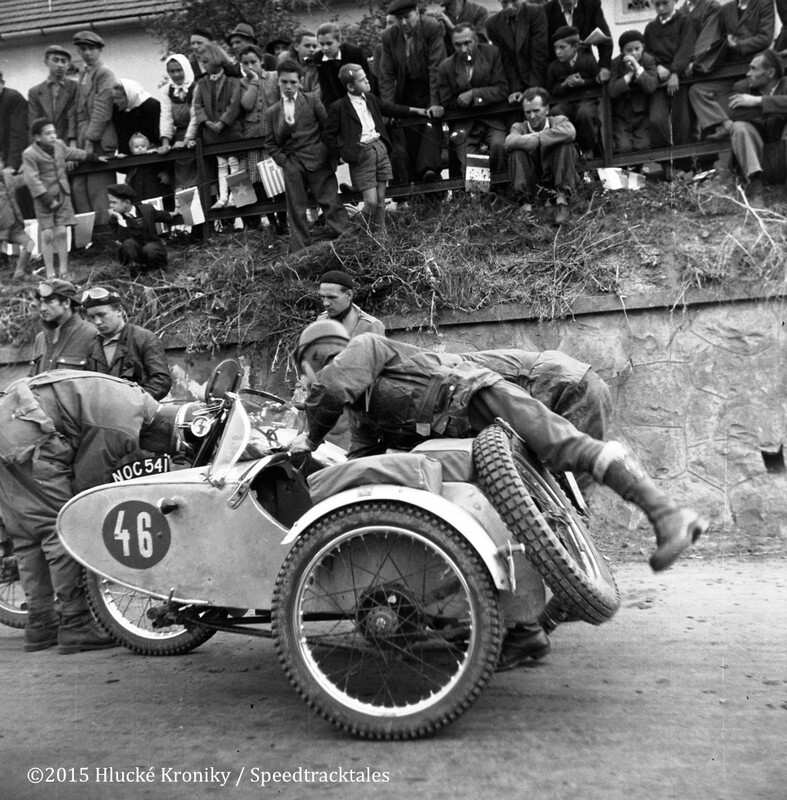 This previously unknown footage of the event held in Spindleruv Mlyn, Czechoslovakia from a Movietone News news reel has been located that adds to our knowledge of this event. There are more videos of this and other events available on our video gallery. 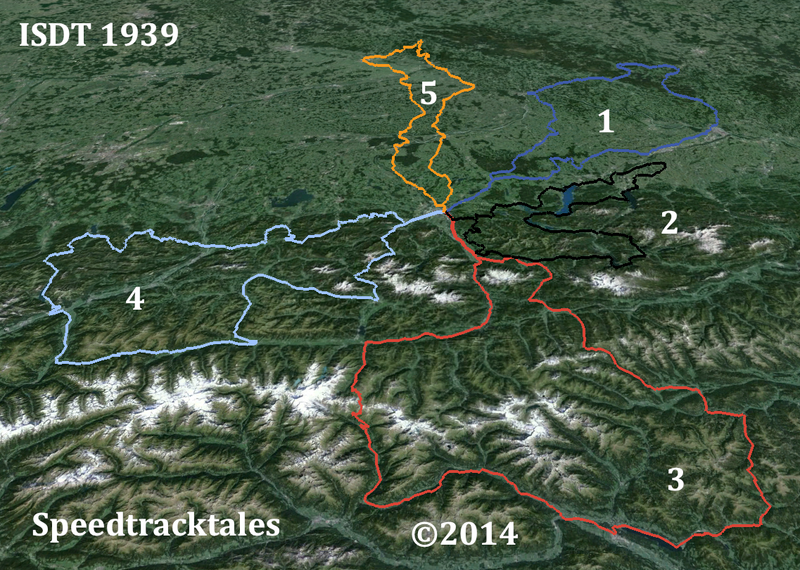 In this Post we are going to create from modern geographic information such as Google Maps, the route of the ISDT 1939. I needed to have a list of destinations for the event to help tagging a recently discovered photo collection to date the images. 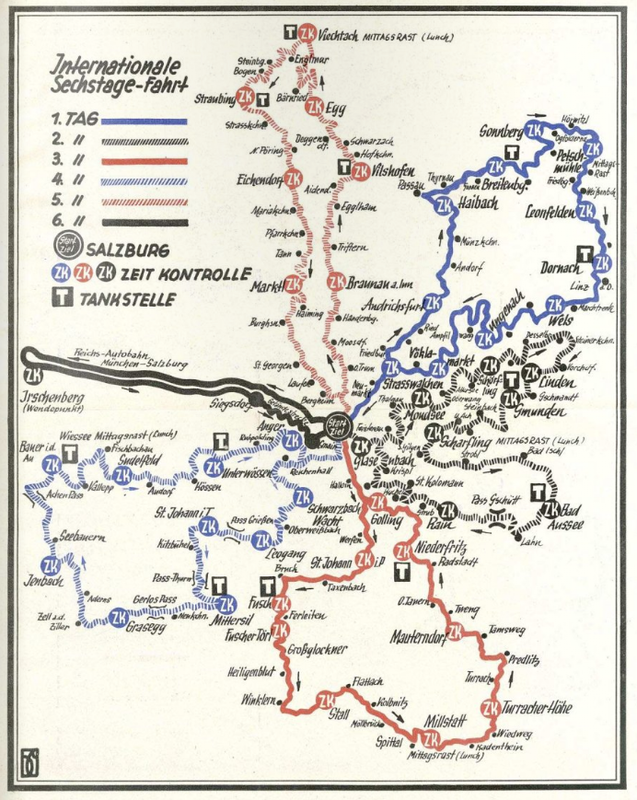 As there is not as of yet, any detailed mapping of the route used and so until such maps are re-discovered this list of each days stops are taken from the maps provided with the results and programme. User Caveat: As this event was organised by the German Government and Military I presume they could go very much wherever they chose. It is likely that some of the tracks used for the event and featured in this article may cross private land for which to use now, the consent of the owner may be necessary. To decide if this is the case, you may need to do further research, unfortunately, we are unable to give advice.